With more people watching video you have a chance to reach more customers. YouTube enjoys over 4 billion views every day. 78% of people watch YouTube videos every week. 55% view it daily. 48% say that they trust a video ad and 34% are likely to purchase a product after viewing video ad online. Your competition is using it; you can put yourself on par with or even surpass them by using the power of video. It will increase customer engagement, further boosting the chances of sales. 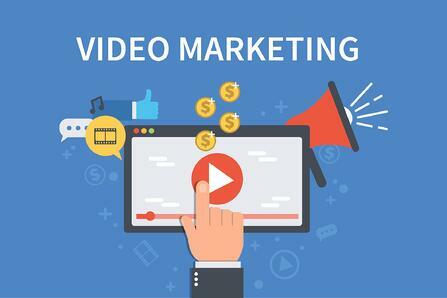 Video marketing increases the chance of opening an ad therefore increasing the visibility of your brand. It gives you a competitive advantage. Video marketing allows you to show the product in action, giving the viewers insight on what your products do and how they are used. This can save you from some of the questions that customers may have. They will already have seen it in the video; all that the business has to do is provide informative content in a meaningful way. If a picture is worth a thousand words, then a video is worth a million words. Using motion graphics videos instead of static images in your marketing strategy will give you a higher ROI and help increase your SEO. With such content, you have a chance of reaching the audience which is not inclined to read a long sales pitch. It allows you to reach to a wide range of people and be more visible online. Video marketing not only makes it easier for online traffic to find you but also increases the chances too. With a YouTube marketing video you have a chance to amplify your brand as well as engage the audience. After all, it has been cited many times that Google favors video. A fine share of social media is video content, talk of Facebook videos and even Facebook Live, Twitter, Periscope, and Instagram Videos only to mention a few. The videos get more clicks and likes than any content in these sites. This will keep your social media account active, keep the followers engaged and increase the chances of converting these followers into customers. One of the best ways to build trust is through direct interaction; however this may not be possible due to the dynamics at play. Videos can be an alternative when face to face interactions are not possible. Creating a series of videos about your products and services can be just as effective. This can help build or boost customer trust and build a long-term relationship. The cost of making a video has been brought down tremendously due to advanced technology. It’s even possible to make a video using your mobile phone. The returns you get from the video can be tremendous. Many brands in 2015 saw video marketing ROI that exceeded results from their text-based content. With video marketing, the costs can be kept low with the help of motion graphics and animation. It’s estimated that visitors spend approximately 16 minutes and 49 seconds on a video each month. This is higher than any other content. The longer exposure has its benefits - it builds trust, allows you to better engage the visitor and boosts prospects in the search engine. When a product video is added to your landing page you can achieve an 80% conversion rate. Studies also point out that 74% of the visitors who watched an explainer video ended up purchasing. Crafting an excellent product video will convert leads or visits into sales.